Google has shaken up the computing world with its rentable Chromebooks using its own Chrome OS. But Google simply isn’t going to beat Microsoft at its own game. Google has shaken up the computing world with its rentable Chromebooks using its novel web-based OS. There’s a lot of speculation about how this could change business computing. But Google simply isn’t going to tear down the monolithic giant that is Microsoft. Yet. Among its long list of innovations this week, the stand-out news was the arrival of the Chromebook–a Chrome OS-powered light notebook based on its experimental, developer-friendly CR-48 computer that turned a few heads (not least because of its surprisingly sleek and thus un-Google like design) several months ago. The new device has a list of interesting hardware specs, including a promised all-day battery due to its power-sipping engineering and the low burden placed on the CPU by Chrome OS itself (much of the heavy lifting happens on Google’s servers). But the really novel trick–the bit that’s inspired headlines like “might have just changed the industry“–is its purchase model. Though the word isn’t written in Google’s blog post, there’s one company name that’s plastered all over this news: Microsoft. Yes, Windows users get a lot of hassle from their OS which incorporates layer upon layer of tweaks to a core idea that’s essentially over 30 years old. Yes, Windows PCs are the target of the majority of hack attacks and malware. Yes, a cheap Windows netbook won’t run swiftly because even with a stripped-down version of Windows aboard, the operating system was never designed to rely on a light processing burden. Yes, a Google machine that offers to swiftly, cheaply counteract all of this sounds like it’ll be welcomed with open arms. Except it won’t. 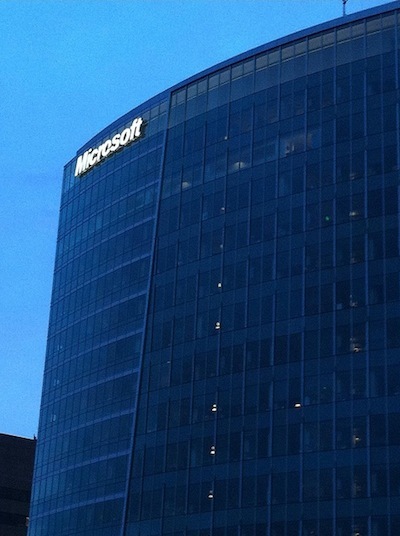 Thanks to Microsoft’s gargantuan mass in the computing world, at enterprise, educational and home-use levels it has an incredible momentum–even enough to let it ride out the Windows Vista fiasco, which saw one of the world’s biggest technical companies foisting a huge technical flop onto billions of users. As an example of the impact of this momentum, ask an Apple user what’s nearly always said in response when they counsel their Windows-using friends to try a Mac. It’s often something like “ah, but I can’t run Word/Excel/Outlook/whatever on it can I?” You can point out the “it just works” benefits, the joys of using the UI and even that MS actually does make Apple editions of Word and its other programs–and that there’s an alternative Mac app for nearly every Windows-only piece of software. But it’s all in vain: they’ll prefer to stick with what they know, sometimes even citing that to use Macs they’d need to relearn how they do everything from clicking on apps to surfing the web. If Apple, one of the best known brands in computing with such a clear message can’t defeat the MS inertia–while acknowledging that it is making slow in-roads–Google, with a new paradigm, is going to face even more reluctance. There is, also, an inertia problem caused by such widespread use of MS software in industry: If you’re dealing with a different company, and they send you over a complex spreadsheet or code for a different specialist app that’s tailored to your business needs, you’re going to want to just be able to run it on your own machines. Its exactly this inertia that caused the Department of Justice to attempt to break up MS in 1998 to try to introduce a more competitive dynamic. Adding yet another wrinkle, piracy of MS products is rampant. They’re undeniably expensive, and in emerging economies the costs can be prohibitive for enterprise users–hence runaway piracy that’s reaching record levels in the Asia-Pacific zone. Though there are risks associated with running your business on illicit code, it does at least mean that you can benefit from compatibility and familiarity at zero cost–something Google can’t compete with. And even in non-emerging economies there may be additional hidden costs associated in running Google apps for business, as some recent thinking (by Microsoft) has suggested–adding to the total costs of running what seems to be, at first glance, a super-cheap alternative to Microsoft’s systems. Internally to businesses, Google really could be a promising competitor because of its lower support and maintenance costs–but again, there’s a momentum associated with using MS systems, and initiating a big swap-over maneuver for medium to large-scale enterprises requires a serious decision at senior levels, followed by some big engineering. No matter how much better or potentially cheaper Google’s solutions are, these barriers will mean Microsoft will retain its crown for a long time to come.